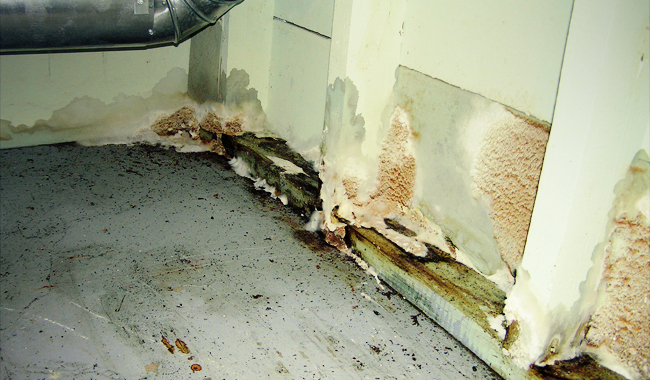 Bio-Logix Environmental Ltd carryout site assessments, investigations, mould removal and reinstatement services for the management and elimination of mould contamination in domestic and commercial properties. Mould causes material damage, structural damage but more importantly can result in negative health impact if left un-treated. Bio-Logix Environmental provide a range of services for the elimination of mould contamination in both commercial and domestic properties. The service consists of an initial site visit to ascertain the cause and impact of the mould growth, intrusive site investigation to determine the source of the malodours and to allow formulation of remedial plan, implementation of the remediation strategy to eliminate the source of the odour and prevent recurrence and final validation of the remediation works through mould spore count and IAQ procedures.